The 2014 Nissan LEAF is available in three trim levels: LEAF S, SV and SL, along with option packages offering advanced systems such as Around View® Monitor and 7-speaker Bose® audio. Enhancements for 2014 include the addition of the RearView Monitor as standard equipment on all models (previously part of the Charge Package) and one new exterior color  Gun Metallic (seven total available colors). The electronic Nissan LEAF has provided drivers not only the value of driving gas-free, but also some attractive purchase prices. 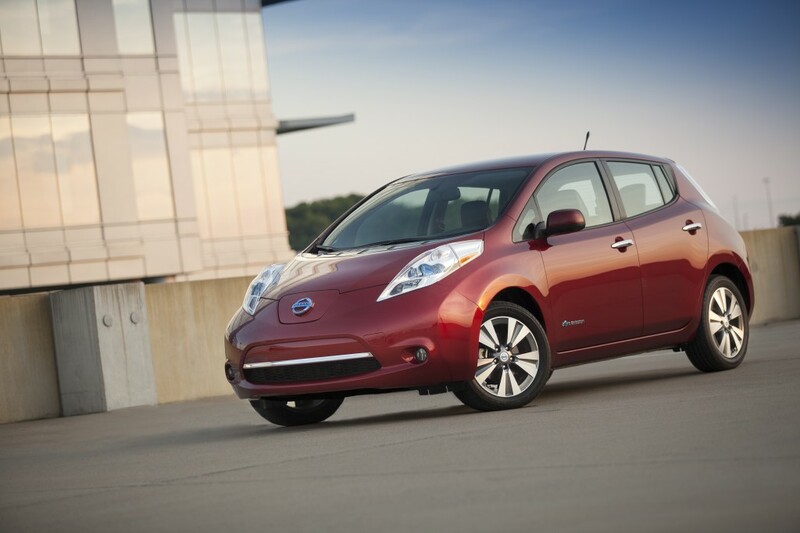 Recently, Nissan announced pricing for the new 2014 Nissan LEAF, with the base trim starting at just under $29,000. The LEAF S will start out at $28,988, coming standard with the 80kW synchronous engine. This little powerhouse is perfect for city driving, as it puts out 107 horsepower and pulls at 187 lb-ft of torque. The drive is clean and guilt-free, with zero CO2 emissions. The LEAF SV is priced at $32,000 and the LEAF SL comes in at $35,020. Optional add-ons include entertainment such as the 7-speaker Bose® audio system, safety perks like the Around View Monitor®, and slick new colors such as the bold Gun Metallic. Charging the new Nissan LEAF is an effortless task, thanks to a quick-charge port. In just 30 minutes, the LEAF can be charged to 80% battery capacity. What do you think of the LEAF’s new prices? Come on down to Rothrock Nissan to climb inside the new 2014 LEAF.